Data logging and display of temperature and vacuum on real time graph. 3kg ice collection in 24 hours. 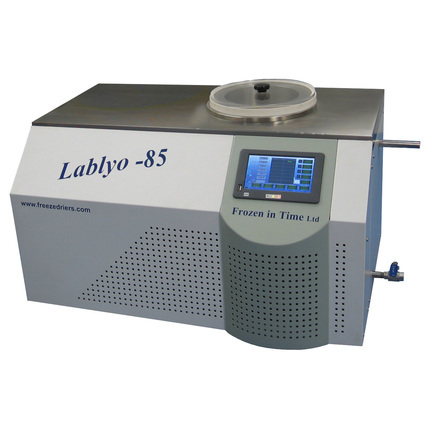 Touch screen control of temperatures and vacuum that are displayed on a real-time graph. 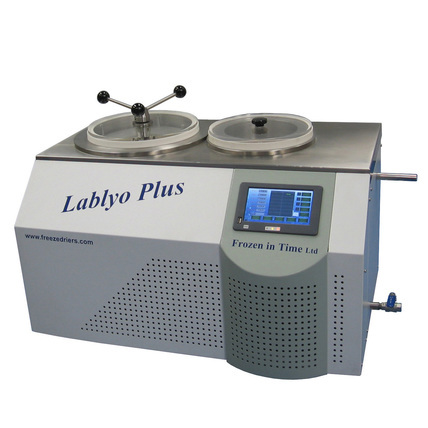 Touch screen with microprocessor control of temperatures and vacuum that are displayed on a real-time graph. 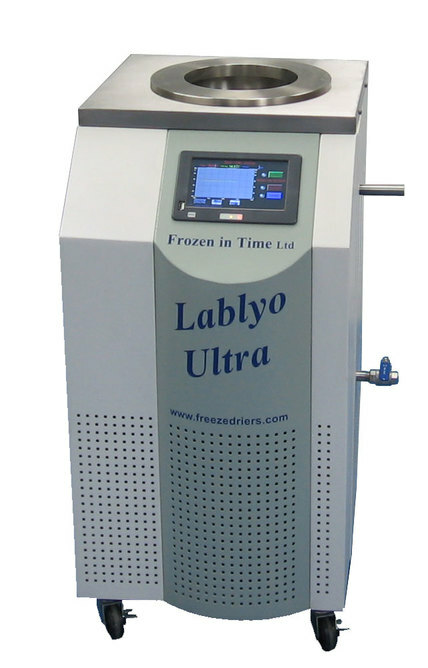 4x mobile temperature probes in drying chamber for product sampling during freeze-drying. 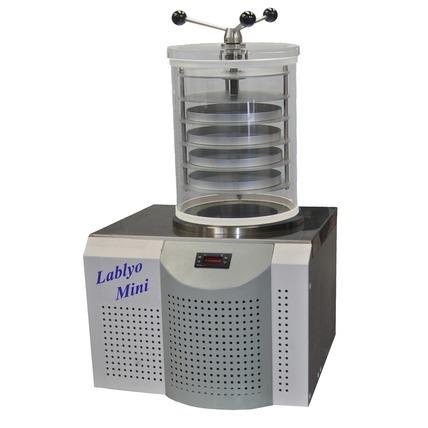 3kg condenser capacity with temperatures down to -55°C. 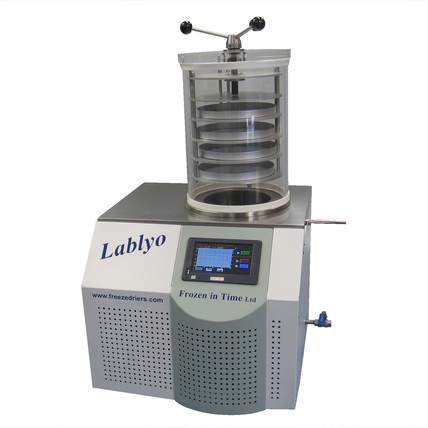 The Lablyo series of benchtop and floor standing lyophilizers are designed to be used with our wide range of accessories. 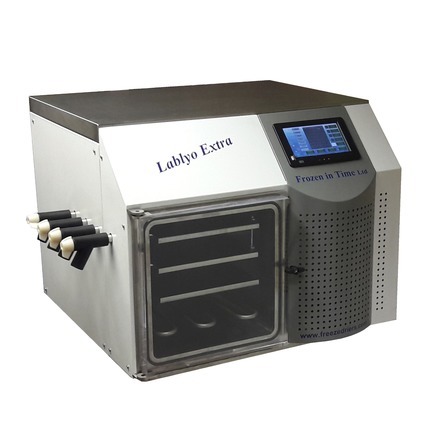 From basic trays, vacuum pumps and shelving to heated racks and vial stoppering the range accommodates a wide variety of possible laboratory freeze drying applications. 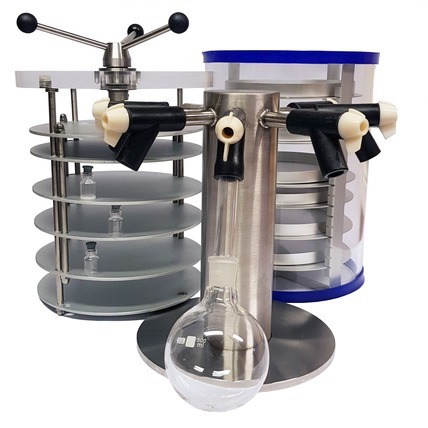 Should your specific application not be catered for we also design and build bespoke accessories for requirements.